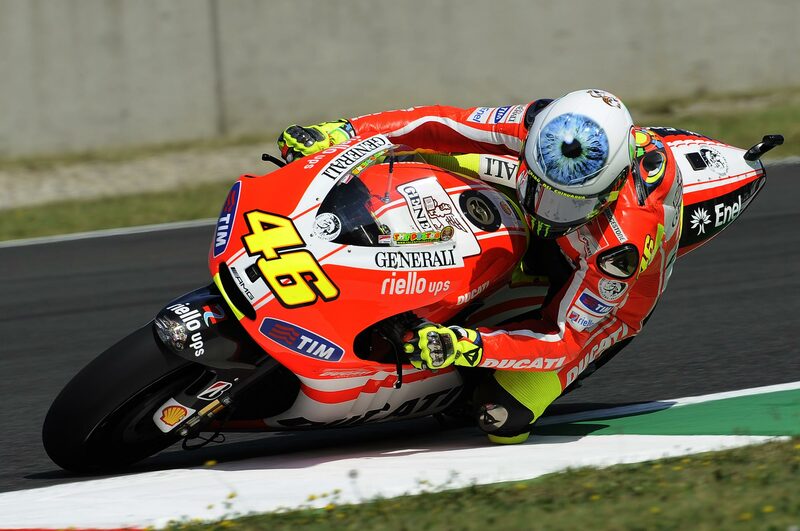 Despite Valentino Rossi getting the Ducati Desmosedici GP11.1 for the Italian GP at Mugello, the nine-time World Champion is still struggling with a 12th place qualifying position. 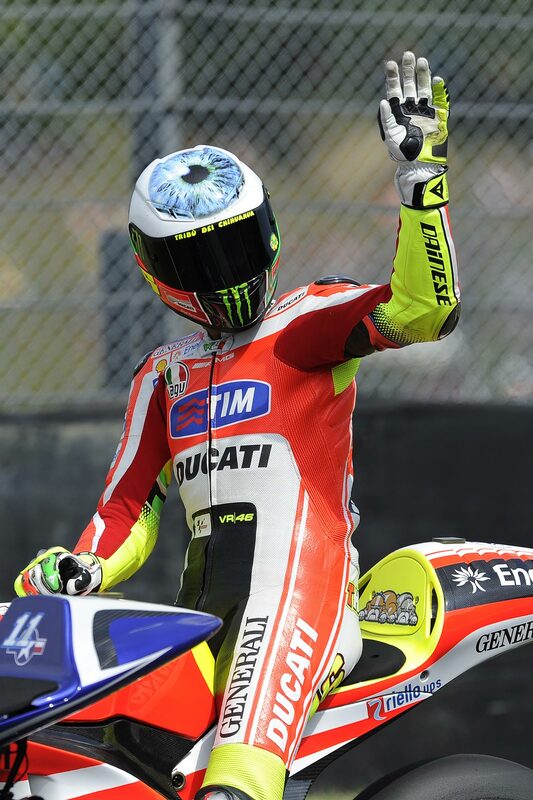 Despite his troubles, Rossi is keeping true to his tradition of wearing a special AGV helmet at his home GP round. 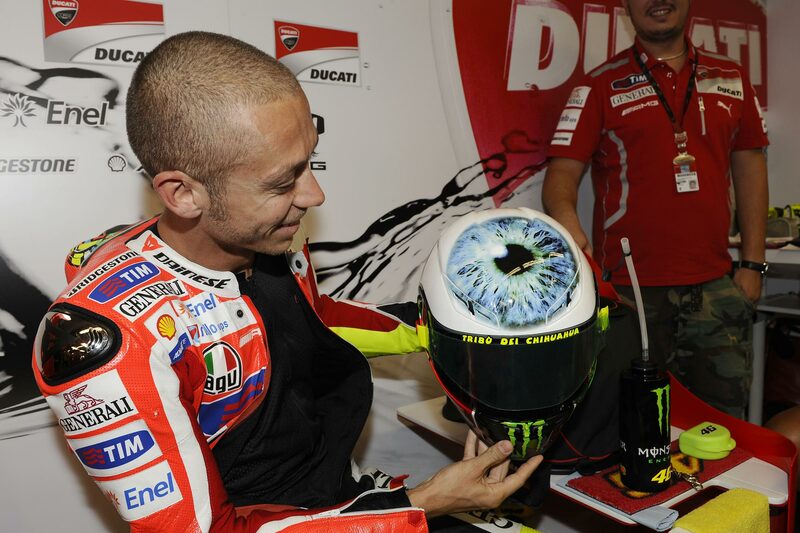 Featuring a giant eyeball on the top of the lid (Rossi’s bulldogs are featured on the back of the helmet), we can only imagine Rossi is paying with the fact that all eyes are on him this year as he tackles the new challenges that surround his move to Ducati Corse. So far Rossi and Jeremy Burgess haven’t been able to tame the beast, and at Mugello, the famous crew chief is absent, having to attend to personal obligations back home in Australia this weekend. 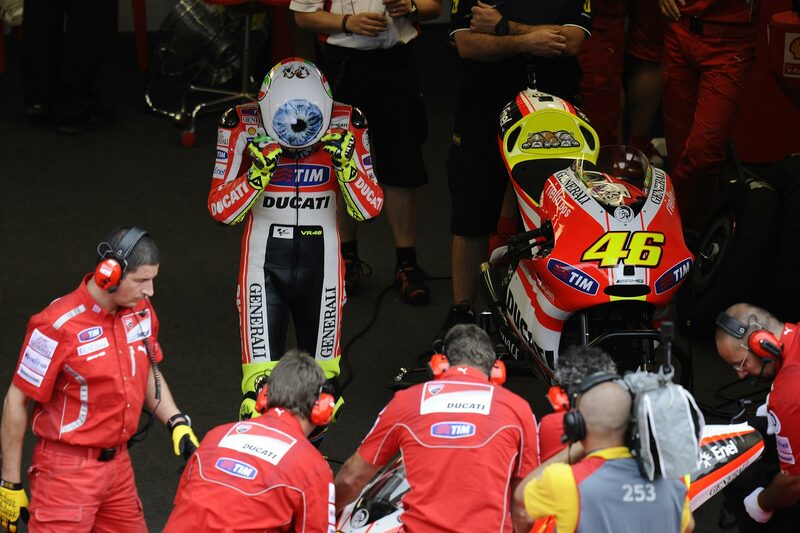 With QP cut-short by inclement weather, Rossi and Ducati had only a handful of laps to work on setting up the GP11.1 for Mugello, which could prove to be a hurdle come Sunday morning. Whatever the reasons are for Rossi’s design choice, he will be one to watch tomorrow to see if he can overcome the hurdles that are set out before him. More photos after the jump.